Bass producer NGHTMRE and genre-bending EDM linchpins Big Gigantic have teamed up to deliver an absolutely infectious new single Like That, out today, December 7th, via Diplo's Mad Decent! I am loving this track guys! 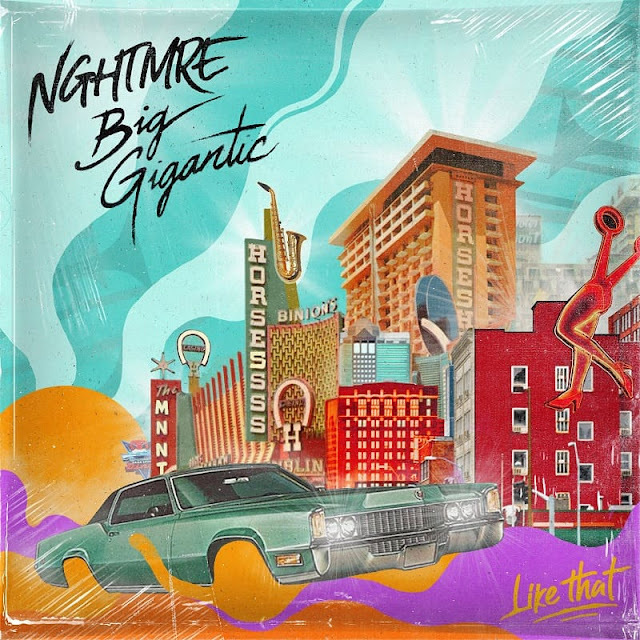 Like That fuses Big Gigantic's live instrumentalism (sax, drums), NGHTMRE's signature bass/trap sounds, and a vintage vocal line perfectly wrapped in a Gramatik-alike hip-hop electronica package. This is not your ordinary EDM track and I can't stop listening to it. Stream it below! Some of my first festivals I ever attended I saw Big Gigantic perform and immediately fell in love with their vibe. After meeting the guys on the road and getting along so well, it was an honor to work together on some music.They are both so talented and I really feel like this song represents us both well.